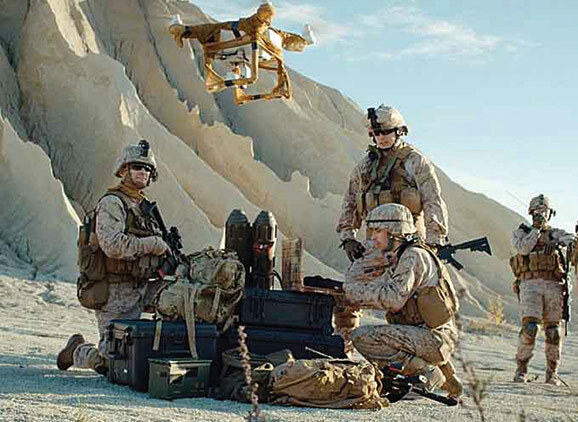 DARPA’s OFFensive Swarm-Enabled Tactics (OFFSET) program envisions future small-unit infantry forces using small unmanned aircraft systems (UASs) and/or small unmanned ground systems (UGSs) in swarms of 250 robots or more to accomplish diverse missions in complex urban environments. By leveraging and combining emerging technologies in swarm autonomy and human-swarm teaming, the program seeks to enable rapid development and deployment of breakthrough swarm capabilities. To continue the rapid pace and further advance the technology development of OFFSET, DARPA is soliciting proposals for the second “swarm sprint.” Each of the five core “sprints” focuses on one of the key thrust areas: Swarm Tactics, Swarm Autonomy, Human-Swarm Team, Virtual Environment, and Physical Testbed. This second group of “Swarm Sprinters” will have the opportunity to work with one or both of the OFFSET Swarm Systems Integrator teams to develop and assess tactics as well as algorithms to enhance autonomy. The focus of the second sprint is enabling improved autonomy through enhancements of platforms and/or autonomy elements, with the operational backdrop of utilizing a diverse swarm of 50 air and ground robots to isolate an urban objective within an area of two city blocks over a mission duration of 15 to 30 minutes. Swarm Sprinters will leverage existing or develop new hardware components, algorithms, and/or primitives to enable novel capabilities that specifically demonstrate the advantages of a swarm when leveraging and operating in complex urban environments. The conclusion of the second sprint is aligned with a physical and virtual experiment, where “sprinters” will be able to more deeply integrate and demonstrate their technology developments. The sprinters will have the opportunity to work with DARPA and the Swarm Systems Integrators to further expand the capabilities relevant to operational contexts. Each of these inaugural sprinters will focus on generating novel tactics for a multi-faceted swarm of air and ground robots in support of the mission to isolate an urban objective, such as conducting reconnaissance, generating a semantic map of the area of operations, and/or identifying and defending against possible security risks.